A ground fault circuit interrupter (GFCI) can prevent electrocution by detecting faulty electrical leakage. 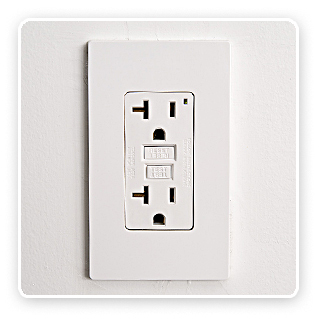 Ground fault circuit interrupters shut off dangerous electrical circuits. Protect your family by making sure ground fault protection is installed in at-risk areas of your home. Call and talk to a live operator to make a convenient appointment that fits your schedule. You’ll receive an email from our office introducing your technician with a picture and brief bio before he arrives. Our tech will arrive on time with a red carpet and shoe covers to protect your floors and we use drop cloths to protect your home and furnishings. Our tech will listen to your concerns, diagnose your situation and provide you with detailed options to solve your electrical, heating or air conditioning needs. We only use the best parts and tools for lasting repairs. Once you tell us what option you choose the price you see is the price you pay! 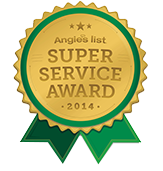 Your satisfaction is 100% guaranteed or your repair is free. Ground fault protection is required by law for good reason; it protects people from electrocution. 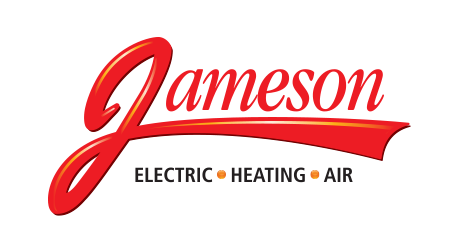 Call Jameson today, 855-297-4331.